Situated between the sea and the mountains, the department of the Pyrénées-Orientales is a well-known tourist destination that has been widely appreciated by the general public for several decades. French Catalonia offers its visitors a strong and original cultural identity and typical gastronomy – in short, a highly developed and diversified tourist economy. It is also a popular sailing destination and an essential port-of-call for cruisers in the east of the Mediterranean, Spain or the Balearic Islands zone. 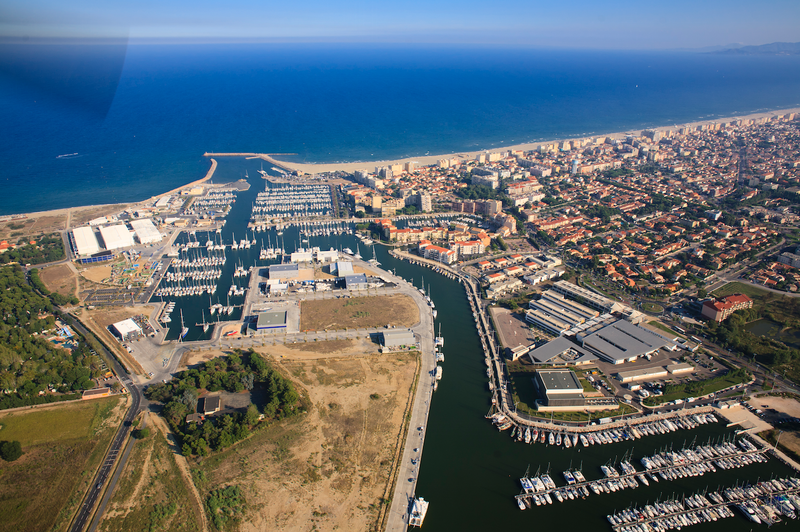 Located halfway between Port-Camargue and Barcelona (140M) and 180M from the Balearic Islands, the port of Canet offers a capacity of 1200 berths that can accommodate vessels up to 35 m.
It a hub for yachting professionals from all the sectors of the activity. They can respond to any need and possess specific expertise in the catamaran sector. The marina infrastructures are also an asset for the reception of vessels of all sizes with well-adapted hoisting equipment and also a vast technical area.